Folienprint RAKO specialises in the development and manufacture of packaging printing solutions and films for flexible packaging and shrink-sleeves. Flexible and short-term deliveries are guaranteed by in-house printing-plate manufacturing and a range of stocked films. Folienprint supplies food, beverage, cosmetic, personal hygiene and technical industries. Folienprint is able to offer the best packaging solutions and added through permanent cooperation with suppliers and on-going customer orientated research and development. As an expert in flexo-printing, Folienprint advises customers right from the beginning in all technical and quality matters on their designs. Customers demand high-quality printing in short lead-times. The company’s own pre-press production enables it to use the latest technologies on the market, delivering the best flexo-printing quality to customers. Cooperations with all partners in the pre-press chain allows Folienprint to use the latest technology for production. Folienprint’s customers are receiving the benefits of using the latest, advanced flexo-printing technology for their products. HD Flexo is one of the tools that makes customers’ products outstanding. As time to market becomes more important, Folienprint’s flexo-printing production enables the company to react quickly to market demand in up to ten colours. Digital printing technology offers faster time-to-market results and Folienprint was one of the first companies in Europe to install a digital printing press dedicated for the flexible packaging industries. Digital printing presses offer short runs in high printing quality and better promotion quantities in a short lead-time. No pre-press tooling costs affect customers’ budgets and the digital printing solutions provide a more flexible order window. Customers looking for a quick and cost-effective solution for their brand should switch from conventional printing to digital. With the new printing technology there are no minimum orders and no repro artwork costs involved, providing customers with the maximum flexibility for their own planning and production. Folienprint’s production philosophy is ‘nothing is so constant like the change’. There are no fixed standards and every customer’s product is created individually. Folienprint develops and manufactures various types of films and laminates, including plastic film to paper materials, matt or glossy, high-barrier or metallised films. Shrink-sleeves showcase a product with the highest level of attention in the market and the unique selling point (USP) can be supported with fantastic decoration. 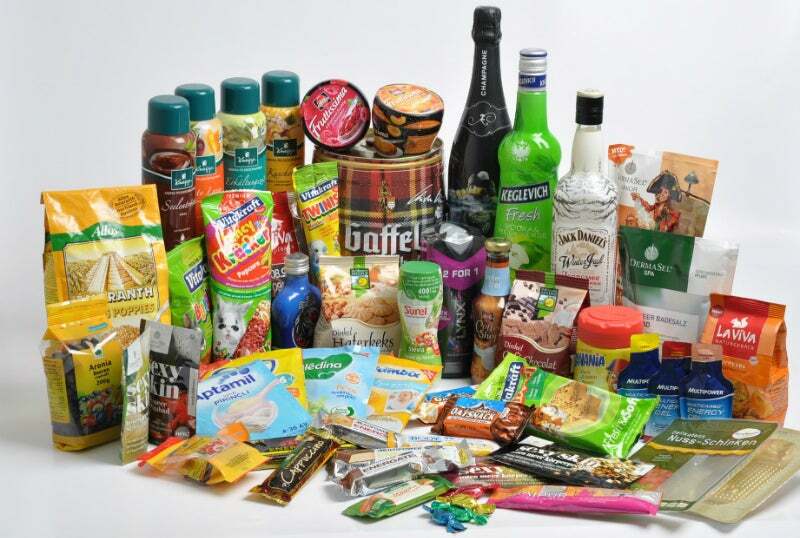 Folienprint produces unprinted and printed shrink-sleeve packaging on rolls and in single-cut pieces using materials such as polyvinyl chloride (PVC), polyethylene terephthalate (PET), oriented polystyrene (OPS), polylactic acid (PLA) and polyolefin (PO). The company’s technical management supports customers with all new projects from the beginning, recommending the best solutions. Using resources sustainably is one of the most important focal points of the company’s environmental management system. Folienprint continues to improve its processes, with projects such as creating the company’s own development StarSaver®. This standard has been uniquely designed as a substitute for energy intensive aluminium laminates. StarSaver provides benefits such as huge reductions in carbon emissions, minimising environmental impact. The high-barrier combination of polypropylene and a polyethylene sealing layer offers an outstanding product safety and a prolonged product shelf-life. StarSaver also showcases glossy optics, high product safety, excellent process ability, a wide sealing range and weight reduction compared with aluminium laminate. Folienprint is a member of the RAKO-Group, headquartered near Hamburg, Germany, specialising in self-adhesive labels, film packaging, security technology and software. Thanks to more than 80 printing machines at 13 production sites worldwide and 1,500 employees, the RAKO-Group grows continuously with consistent investments and innovative ideas. The company is also Sedex registered, and BRC certification is planned for 2017.
starblocker protects your products optimally against the premature loss of freshness, aroma and flavour. In addition, these films offer an excellent migration barrier against mineral oils. The next level has arrived for advanced digital printing applications. Get individual printed lid films for your products. Folienprint is the first company in Germany investing into a digital printing press 20000 from HP Indigo being qualified for flexible packaging. The Starsaver® has been developed by Folienprint as an alternative for aluminium and a reduction of carbon emissions. The next innovation is the Starblocker®. It is time to feel good with Fruitful Shrink-Sleeves for bottle decoration. Within environmental management, the reduction of the carbon footprint has become a major target of Folienprint. We are offering Shrink Sleeves with a new high-performing light-blocking shrink film: Eklipse™. Folienprint is constantly working on environmental friendly projects and sustainable products. As a result of these projects, we developed the Starsaver as an alternative to high-energy consuming products of aluminium. German company Folienprint uses the latest technologies in printing, including the HP Indigo 20000 and Esko's HD Flexo. Folienprint's mission is to develop suitable packaging according to the unique requirements of each customer and product. Danone's water brand Aqua D'or undertook a unique promotion in Scandinavia last month. When it comes to packaging, each customer and application have specific requirements that need to be taken into consideration. Folienprint RAKO managing director Doris Erhardt-Freitag discusses the value of independence, technological innovation and the company’s plans for the future. Brands are required to be perceived as being brightly shining. And packaging performs as ideal platform to provide a vibrant setting for the product. Folienprint has succeeded in its first BRC certification replacing the past hygiene certification. A new global packaging group is set to form after the announced merger of Baumgarten, RAKO and X-label Group, which will be called All4Labels. RAKO, X-label and Baumgarten are proud to announce today, they have signed an agreement of merging together to become one of the most innovative companies in their industry, with footprints in growth regions of their customers. Folienprint and members of the RAKO Group show up at the most famous packaging exhibition in Germany. RAKO Etiketten, one of the world's largest and most modern suppliers of self-adhesive labels and flexible packaging materials, has acquired Swiss packaging printers OMNIPACK AG, St. Gallen retroactively from 1 January 2016. Active Liqids Zero concentrate are the most refreshing companion for all kinds of sports. Ask Doris Erhardt-Freitag about Folienprint's most innovative product, and she'll point to a bright cardboard box containing vividly printed, individually packaged tea bags. "Each individual sachet is a unique specimen," the managing director explains. The RAKO GROUP is Germany's foremost digital printing pioneer; the company is due to install what will be its third Indigo 20000 system in the second quarter of 2015.